The Holding Pattern has been in the making for 7 years! After a lot of support in every kind of way from family, friends and fans the album was finished in the winter of 2015. This album features songs: Is It In You?, God Knows Where, This I Know, Get Serious and Return to Me. 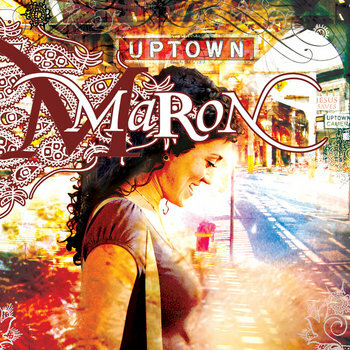 "Let Go" is an unplugged organic session with Maron Gaffron. The Holding Pattern has been in the making for 7 years! After much support, in every kind of way, from family, friends and fans the album was completed in the winter of 2015. The Holding Pattern features songs: Is It In You?, God Knows Where, This I Know, Get Serious and Return To Me. Maron Gaffron's first studio release under Grrr Records. Featuring songs: Uptown, For Better or Worse and The Housewives' Song!